but some info might have been older cause I updated it based on the place I last visited. 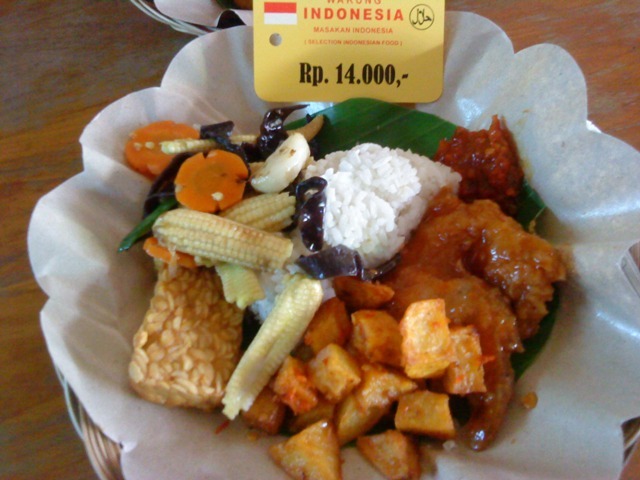 Warung Indonesia, located in gang Ronta, Poppies lane 2. They serve Indonesian food. You can order what you want to eat from the display food or menu. The place is clean, friendly staffs..
Warung 96, located in aisle which connects Jalan Benesari and Poppies Lane 2. It’s easier to find this place from Poppies Lane 2. They serve Indonesia and Italian Food/Western food. The pizza taste great there..
Mojo’s Burrito, located in aisle which located in aisle which connects Jalan Benesari and Poppies Lane 2. They serves Mexican food ofcourse, from burrito to tacos, nachos.. mojitos and that ‘green drink’ .. It tastes great, pleace is small but comfortable. I got 1 Burrito with a ‘green drink’.. sry, forgot the names.. for about Rp. 45,000. Warung Made’s, located in jalan Raya Pantai Kuta. Mozzarella Restaurant, the one that located in Jalan Padma. 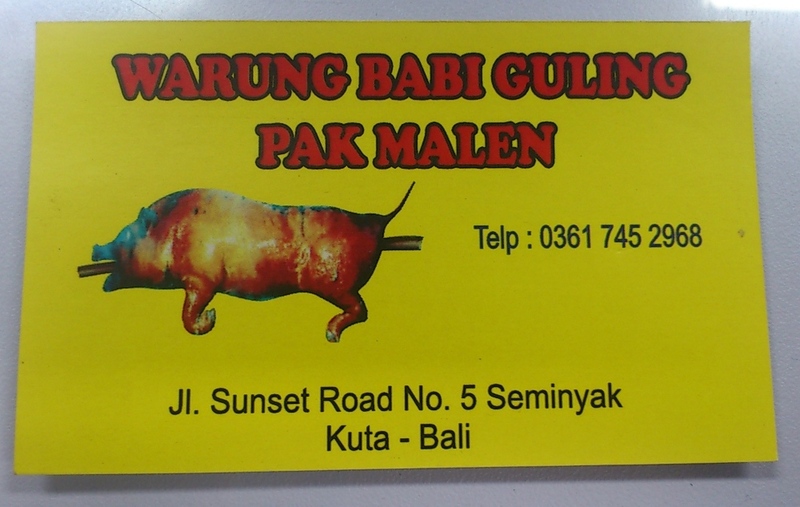 Babi Guling Pak Malen, located in Sunset Road across Sunset Mall, right in the red light corner to Jalan Kerobokan/Seminyak. I love everything on their meal set. The spiciness is acceptable for me who doesn’t really like spicy food. The crispy skin is one of the kind. I always make sure to eat there whenever I visit Bali. 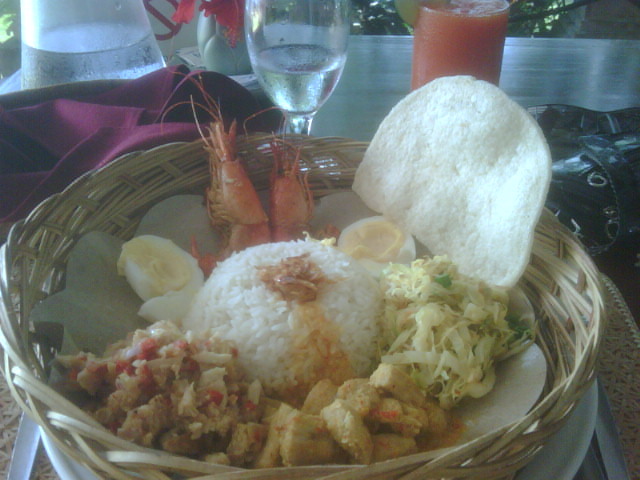 Or I order for take away to be brought to Jakarta.They wrap it really nice. Highly recommended!! 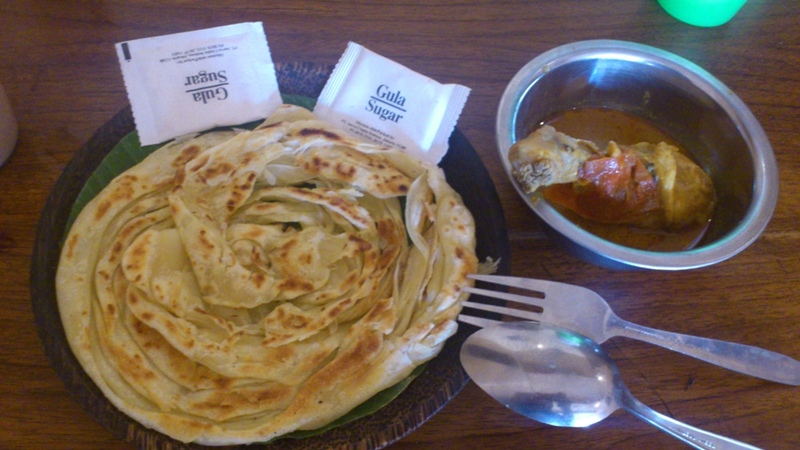 If you like affordable curry food (Malaysian Food), Roti Canai and Teh Tarik (like me), this is the best option for you. 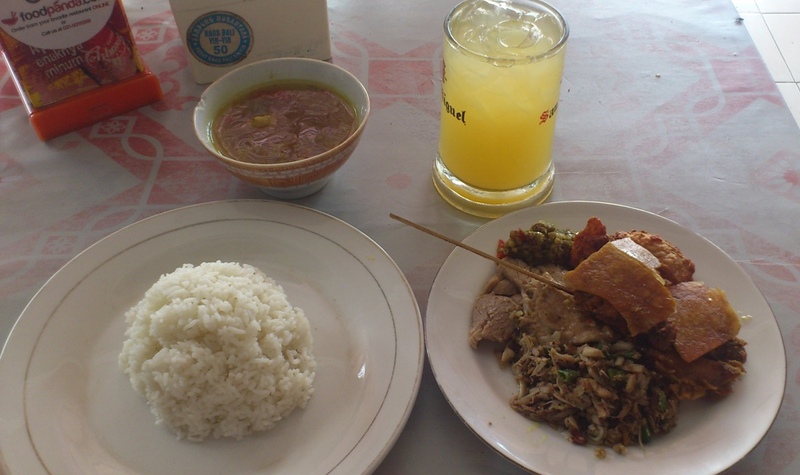 It is a small warung with limited service (you have to wait long for your food). Their chicken curry was Rp10,000 and canai and teh tarik were around Rp5,000 (sorry, I forgot). This place is very famous for its babi Guling (roasted guinea pig). If you’d like to have lunch there, better come before 12:00 or you wont be able to taste it. The price is about Rp. 35,000 for combination package. Restaurant at Lotus Bungalows, located at Lotus Bungalows in the entrance gate to Center of Candidasa.